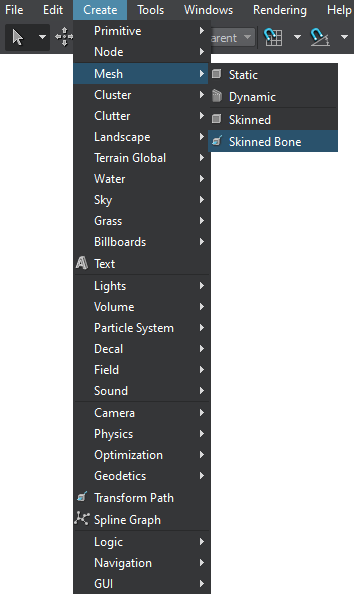 On the Menu bar, click Create -> Mesh -> Skinned Bone. In the Node tab, specify the WorldTransformBone parameters. 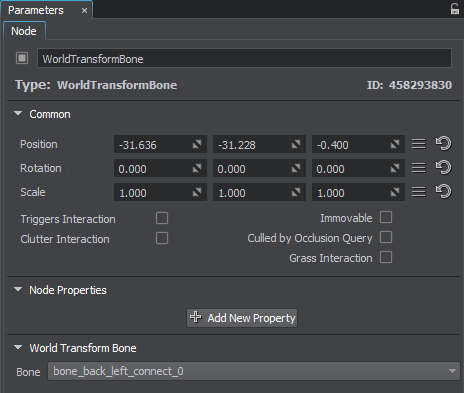 Sets the radius of WorldTransformBone application (valid only outside the viewing frustum). If the child object transformed according to the bone animation, gets outside the viewing frustum but stays in the radius range, the playback of the transformation sequence does not stop. Specifies the bone, transformations of which are applied to objects.